It’s that season of giving and Frato’s is joining in! Get a FREE $50 Gift Card with your Catering Order! Limited Time Only! Between now and the end of January 2017, order a Catering (at least 24 hours in advance) of $200 or more (before tax, can’t combine specials) and you’ll get a FREE $50 Gift Card to be used on a future catering or a regular restaurant visit! That’s a HUGE special that we’ve never done before! No Boring Catering Items here like those other places! Let’s be honest, no catering is great without Frato’s MASSIVE Handmade Mozzarella Sticks (watch the video here)! 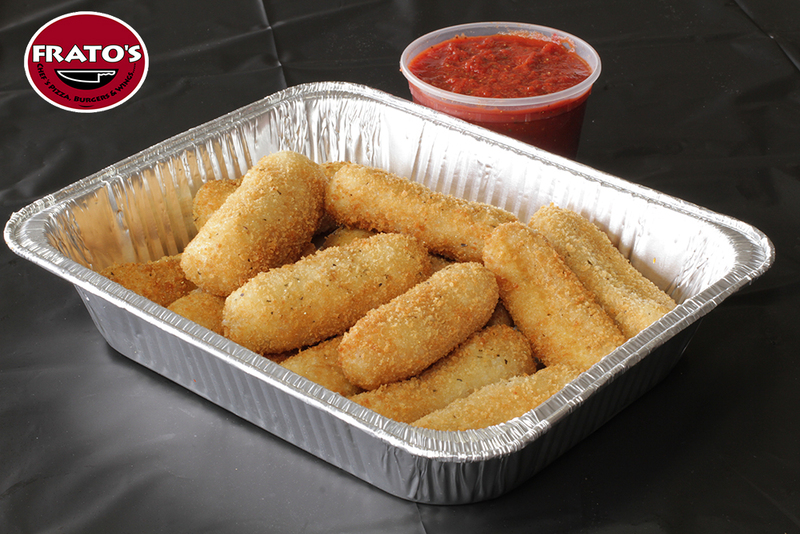 No item has ever had the rave reviews of Frato’s Handmade Mozz Sticks, so you know everyone at your party will love them! Now we even have NEW 4-Cheese Lasagna! Get a Gyro Lasagna, Bacon Lasagna, Italian Sausage Lasagna or Spinach Lasagna! Your Choice, we can even bake it for you OR you can take it home, store it and bake it yourself when you’re ready! Options for everyone! Either way, we’ll make your event great with Free Delivery & a Catering Guarantee! Who has a guarantee? We do because we care! Oh Yea, don’t forget Grandma Frato’s Homemade Brownies & other Desserts! 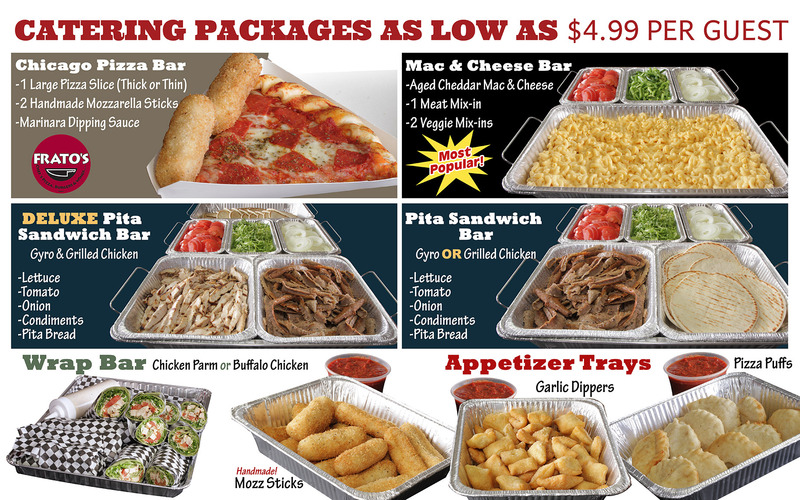 FOOTBALL PIZZA & WING PACKAGE @ FRATO’S CATERING!